This topic contains 6 replies, has 4 voices, and was last updated by Ingrid 1 year, 10 months ago. Hi, Im new (again) wanting to start but don’t know after fully joining that I get the shakes? If so I live remote and they wont arrive for a while? If not do I resort to the old style ? I lost 22kgs 5 years ago on the old style. Made me turn off eggs a bit though. Anyways I am an substitute eater. I gave up drinking during July 2016 and smoking cigarettes in January 2017 part of giving up smoking made me eat more and crave sugary stuff hence the excessive weight gain. Im slowly shaping myself, now is time to take the big step of losing weight. Im weighing almost as much as I did when I was pregnant and it is a big wake up call to me that I need to get my health in check. Always keen on people’s thoughts and ideas, and feedback. Would love a motivation buddy to. 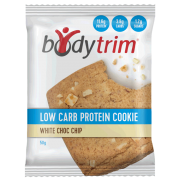 Great to hear from you and welcome to Bodytrim! Did you manage to get things sorted with the shakes? No I haven’t sorted the shakes. Do I get them in this sign up or do I have to prchare separately ? It’s confusing. This site I’m finding confusing aswell. 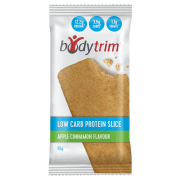 If you message info@bodytrim.com.au one of our customer services reps will be able to help you out regarding the shakes. I started well and then just fell into bad habits again, my work is dreadful for healthy food and always cakes and food on the lunch table. I seemed to be indulging in this more and more. I don’t know if I should just start again from Day one or just keep going. You might find that it helps you to get back into the right frame of mind if you start from the beginning again. You will hopefully be less likely to be tempted by cakes and other treats if you know that you will have to go back through the entire process again! Workplace eating can be especially tough, if it’s a take a plate event perhaps you can start a new trend by bringing along some vegetable sticks and dip or mixed fruit platter. When temptation sets in just think about how far you’ve come, and will having that piece of cake get you what you want in the long term? All the best and keep us posted on how you’re doing! Hi there. 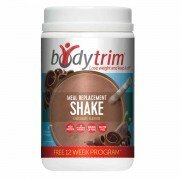 I’m fairly new to Bodytrim. 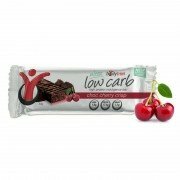 I’m aiming to lose 20 kg. Would love to get some encouragement to keep going. How is everyone else doing?